Ambient atmospheric experimental black metal band Spectral Lore from Athens, Greece has just released its new masterpiece entitled “III“. Spectral Lore were formed in 2005 by their sole member Ayloss. The band self-released its first 2 full-length albums, “I” in 2006 and “II” in 2007, both in special handmade editions, revealing great attention to detail! Since 2008 Ayloss is working on “III“, an album that took him so much, because he wanted to improve his production skills before he finally releases it. In the meantime, he released 3 split albums and the full-length “Sentinel” in 2012. Finally “III” was out via the Italian label I, Voidhunger Records on May 2nd, 2014. Ayloss’ desire to experiment with various sounds and styles in order to create unique eerie atmospheric music has been obvious since his very first works. Extreme black metal parts with a very raw sound and underground aesthetic made the perfect contrast with the slow lazy experimental ambient and acoustic passages. Through the years his production has improved a lot and his sound has become much more technical and interesting. With “III“, Spectral Lore present by far their best work, making all their previous releases sounding like a “warm-up” for this album! While the basic principles of their music still remain the same, everything sounds more mature, ambitious and coherent. The orchestrations are richer, the song structures more tight and Ayloss has managed to combine all these different styles in a really solid result. His sound has a much warmer color, being at the same time epic, melancholic and desperate, with influences from technical progressive black metal, atmospheric post black metal and hints of doom, drone and space dark ambient, ever changing in his long compositions. There are many amazing instrumental parts, as well as 2 completely instrumental songs, the masterpieces “Drifting Through Moss and Ancient Stone” and “Cosmic Significance“! He borrows elements from countless other metal or non-metal genres, trying to bridge the differences between all these theoretically incompatible styles inside the band’s personal atmospheric sound. Such experiments balance on a thin line, but the final result in this album totally justifies Spectral Lore. “III” contains 7 songs, divided into 2 parts, “Singularity” (tracks 1-4) and “Eternity” (tracks 5-7), each part on a different CD. Its total duration is over 87 minutes and 6 of the compositions are each over 10 minutes long! The lyrics are all in English and according to Ayloss the concept of this album “marks a passage from the internal to the external, from the individual to cosmic destiny, it aspires for humans to discover the importance of their own existence and the potential of their effect“. Spectral Lore will surely attract more listeners with this great work. It is not an easy to listen album though, due to the experimentation with various genres, but if you surrender to its atmosphere, you will be definitely rewarded! Either way, Ayloss has done a great effort into creating something personal, emotional and of highest musical quality, both in terms of composition and sound. “III” is released via I, Voidhanger Records as a double CD edition in luxurious 6-panel digipak, including a 20-page full color booklet with the wonderful cover art of the American symbolist painter Benjamin Vierling, while art direction and layout is by Francesco Gemelli. 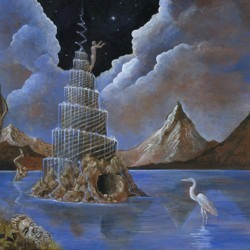 You can visit Spectral Lore’s official Bandcamp page and listen to their complete discography!